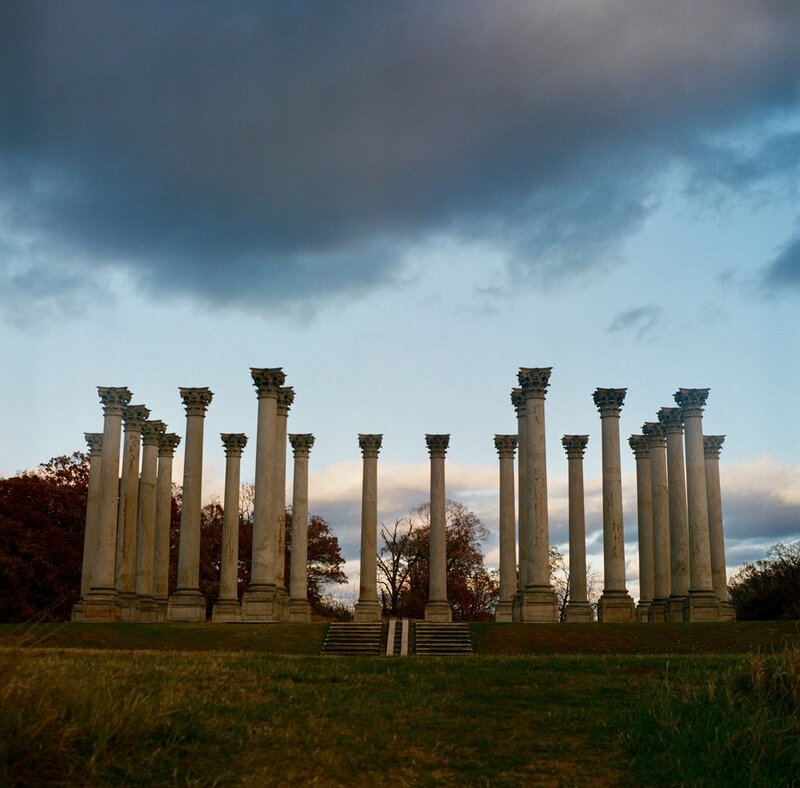 I was bored a few weekends ago, so I grabbed my Yashica Mat TLR (think a Rolleiflex clone), my tripod, and a roll of film, and went to the National Arboretum to take photos in the fading light. This was mostly a test of whether I could use the Yashica on a tripod without causing too much shake or otherwise ruining the photo The result is yes! I can, even with strong winds that make steadying anything a challenge. Which opens up new avenues of shooting with that camera. In the meantime, here are the photos. I'm not a huge fan of the first one, but I like the subsequent shots quite a bit. Film was Kodak Portra 400, and I ended up taking most of these shots at f/8 and a ¼ or ⅛ second shutter speed.